Three Old Elizabethan medics are among a group of London healthcare students who have teamed up to sponsor a child’s education in Sri Lanka. 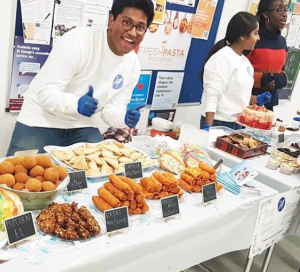 Raahul Niranchanan (2010–2017), Vipushan Konesalingam (2010-2016) and Athithyan Vijayathasan (2009-2016) are supporting a string of fundraising activities to raise £3,000 for Ocean Stars Trust – a UK charity working in Sri Lanka. All three are studying at George’s University of London and are committee members of the St George’s Tamil Society. “If there was one lesson we learnt from attending School at QE, it was the idea that everyone is capable of making a change,” says Raahul. 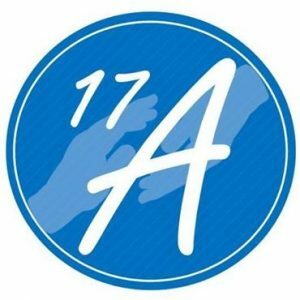 The team originally began as 17 people meeting in the living room of a house numbered 17A, hence the team name they adopted, 17A. Their JustGiving page explains their motivation: “We appreciate that growing up in London…we often take what we have for granted. So, when uni got a bit tough for us and we started complaining, we took a step back: we realised we’ve actually got an opportunity to even get as far as studying a degree. “But there are kids out there who don’t even know if they would still be in school tomorrow, or who can only dream of having an education. “We know education is a gift that no one or nothing should take away from you, not even poverty. The charity they have chosen works closely with orphans and other disadvantaged children in Sri Lanka. 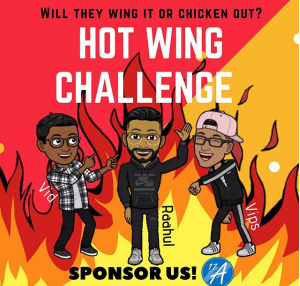 The team got things off to a good start with a successful bake sale at St George’s University, London, which raised £500, followed by a Hot Wing Challenge – a spicy wing-eating contest in which OE courage featured prominently! For more information, or to donate to Team 17A, go to their JustGiving, Instagram or Facebook page. 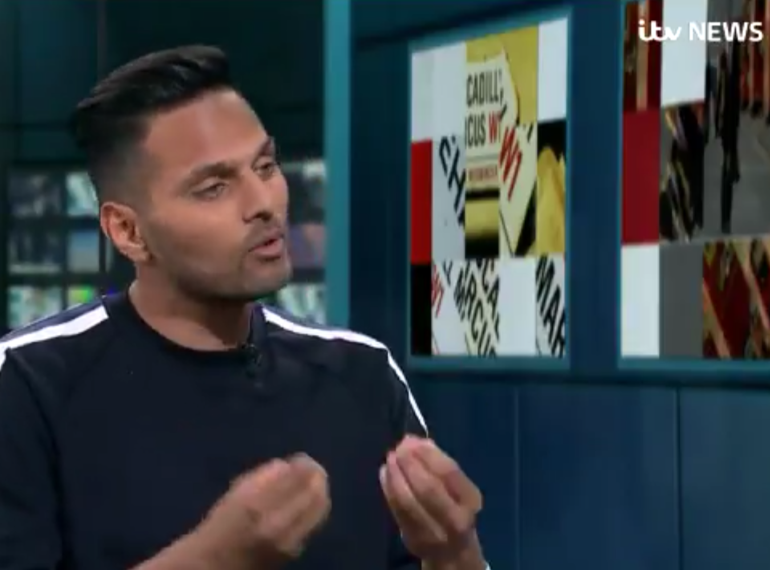 Global social media star and motivational guru Jay Shetty has paid generous tribute to his QE teachers in an ITV interview. Jay (OE 1999-2006) was speaking to ITV London news anchor Charlene White about the astonishing worldwide impact of his work, which includes a single video with 366m views and social media channels that have gained 21m followers and amassed some 4 billion views in just three years. 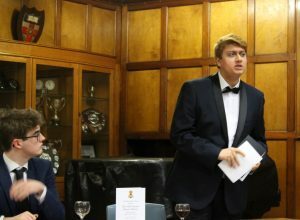 Jay, who grew up in Wood Green, has previously told the School of his fond memories of his time at QE, singling out Head of Art of Stephen Buckeridge and Assistant Head David Ryan for their support, and pointing to his enjoyment of rugby and of public-speaking classes which, he said, “changed my life”. On leaving QE, Jay went on to Cass Business School in London, from which he graduated with a first-class degree in Management Science. Then, however, his life took an unusual turn: he spent three years as a monk in India in the Hindu Vedic tradition. 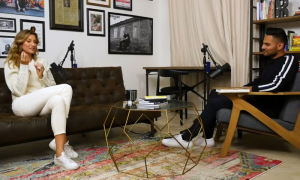 When he returned with a mission to, in his words, “make wisdom go viral”, he was spotted by Arianna Huffington and brought to New York, where he rapidly gained a following for his daily show, HuffPost Live #FollowTheReader. In 2016, Jay married dietitian Roshni Devlukia. Jay featured in the influential Forbes European 30 Under 30 in 2017 – an accolade he described at the time as “one of the greatest moments in my journey so far”. 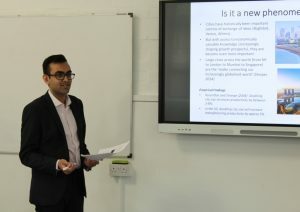 Jay, who was also interviewed in recent days by Sky News, presents regular interviews with people in the public spotlight, with his subjects this year including celebrities such as Russell Brand, supermodel Gisele Bündchen and tennis star Novak Djokovic. 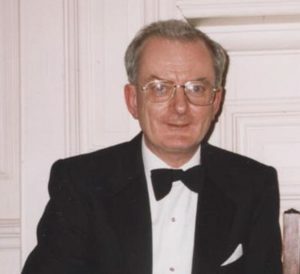 Richard Peters took a degree in Music and then months later embarked on another in Medicine – after receiving some essential help from QE in the interim. 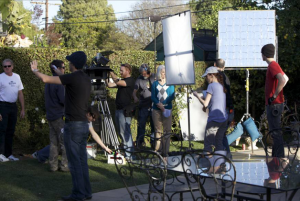 He then successfully trained as a doctor – albeit punctuated by a two-year spell in America pursuing his passion for making film and TV programmes – and later began a career specialising in occupational medicine. 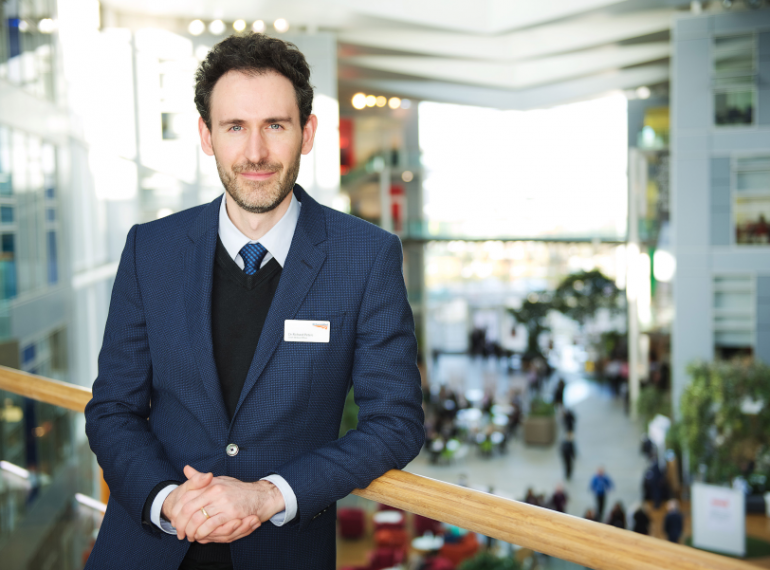 Today, Dr Richard Peters is Chief Medical Officer at Network Rail, responsible for the health and safety of 41,000 employees, as well as that of millions of passengers and other customers. Richard’s time at QE in the late 1990s was relatively brief: he did not arrive until he was 14 and he completed some of his A-level studies elsewhere, since the School at that time was unable to offer the combination of courses he wanted to follow. Yet he has nothing but praise for the support Headmaster Dr John Marincowitz offered him when he approached him after completing his Music degree at Birmingham in the summer of 2002. 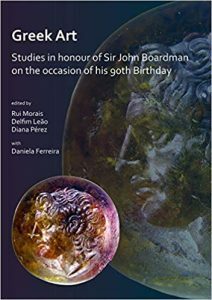 Richard wanted to go to King’s College London the same year to read Medicine, and Dr Marincowitz readily agreed to meet him to discuss the matter. 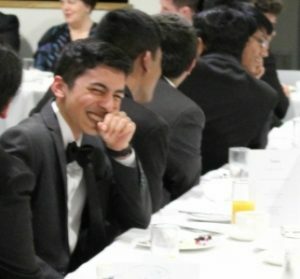 It had been a similar story when he had joined the School, he recalls: his family had been living in the US and he went straight into the GCSE years. His coming to the School at such a time could easily have been regarded as a problem, yet there was no sense of that at all, and he quickly found common cause with those who shared his love for music. 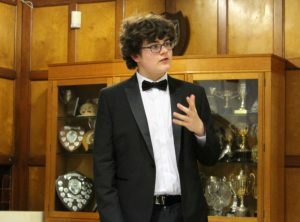 Richard, whose instruments are the flute and piano, threw himself into School life, playing with both the School Orchestra and Concert Band, and eventually becoming House Captain for Pearce. He was among the first users of the then-new Music block and he also has happy memories of developing film in the School darkroom for his GCSE Photography. 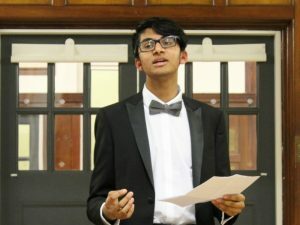 He already had a nascent interest in matters medical, wanting at that stage to become a dentist, yet decided to study Music to degree level, taking his Music Performance AS in Year 12 before leaving QE to complete his A-levels and then in 1999 going to Birmingham’s acclaimed Music department, where Edward Elgar had first held the Chair. 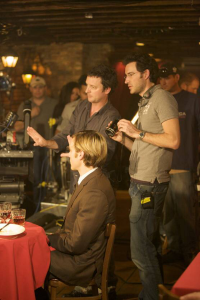 After completing his Medical degree at King’s in 2007, he had a variety of roles in the NHS as part of his training. In 2011, he was appointed an Occupational Health Physician at London’s Royal Free Hospital. He then worked in occupational health for AXA PPP Healthcare, before becoming Chief Medical Officer in Capita’s Personal Independence Payment team. He moved to Network Rail in February 2017. 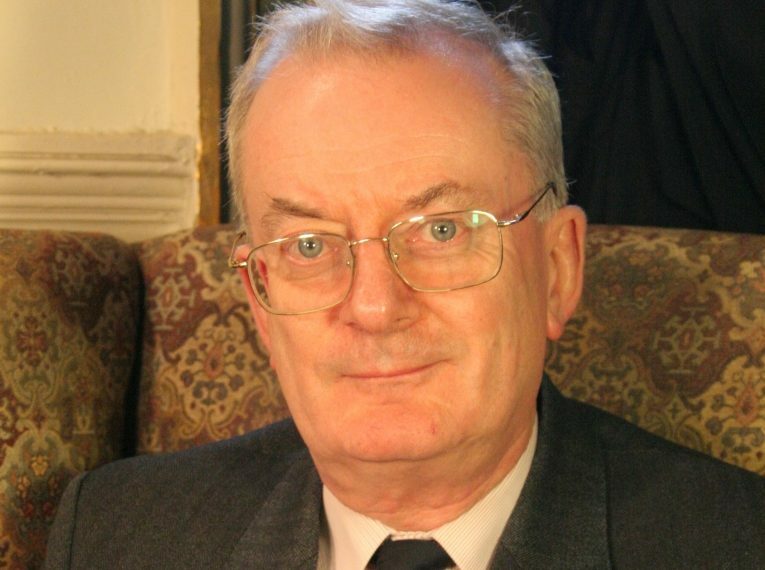 Richard fulfils a number of senior voluntary roles, including chairing the Rail Safety and Standards Board’s Occupational Health Specialist Advisory Group. 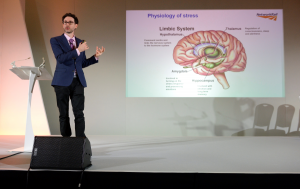 He is also an Honorary Clinical Senior Lecturer at UCL Medical School where he teaches Occupational Medicine to the medical students. 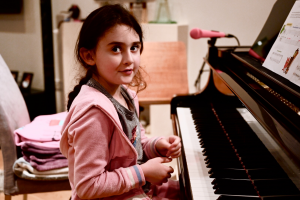 As for his third passion, music, he continues to play both the flute and piano and also enjoys helping his eldest daughter with her piano practice. He and his wife Kate, a GP in training, who live in London, have two girls, with another on the way in June. Richard stays in contact with a number of other OEs, mostly by social media, although meeting up does prove difficult with all their busy schedules. Two Old Elizabethan friends have teamed up for the annual charity ‘jailbreak’ run by the Oxford University Student Union. Conor Mellon (OE 2010-2017) and Rohan Radia (also 2010-2017) will be heading out of Oxford on 9th March and will then have 36 hours to get as far away from the city as they can without spending any money. Their purpose is to raise as much money as possible for the RAG (Raise and Give) charities. Last year’s competitors reached such far-flung destinations as Sweden, Turkey and even Malaysia. 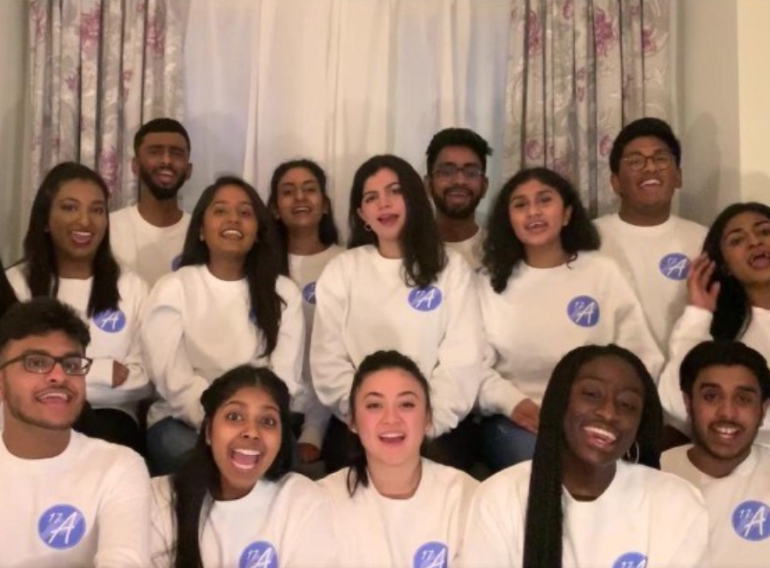 IntoUniversity, which provides local learning centres supporting young people from disadvantaged backgrounds as they attain university places or pursue other aspirations. 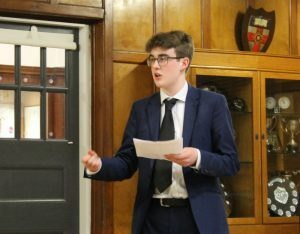 Conor, who went to Lincoln College to read History and German, has been working for the university’s History Society this term and has invited young historians from QE along to hear outspoken historian David Starkey deliver a talk in March. 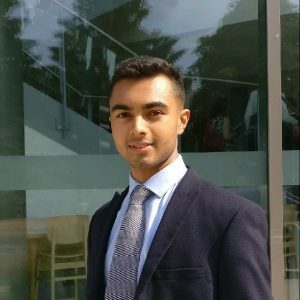 Rohan, who went to Oxford to study History and Economics at Somerville College, last year co-led a team of five students working to help the university’s Careers Service establish compliance with recycling policy. 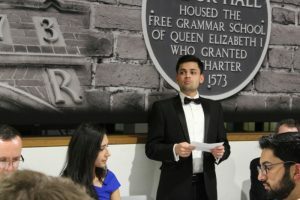 In the previous academic year, Rohan had served on The Oxford Union’s Secretary’s Committee. 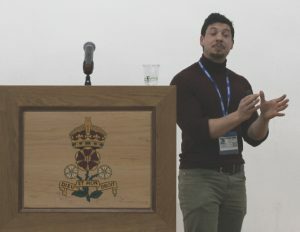 The international migrant crisis in southern Europe may have faded from the headlines in recent months, but the humanitarian challenge remains, Old Elizabethan Nicholas Millet reminded QE boys when he returned to his alma mater. 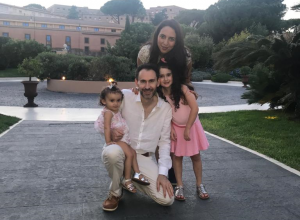 Nick (OE 2001–2008) co-founded Refugee Education Chios, which provides education, support and training for teenagers and young adults living on the Greek island of Chios, which became a de facto detention centre after the 2016 EU-Turkey agreement. The project offers safe places – a youth centre and a learning centre – outside the Vial detention camp, reaching up to 250 children and youth aged up to 22 each week. Both centres tailor their work to the refugees’ particular needs, with, for example, the learning centre offering a trauma-sensitive curriculum and the youth centre helping teenagers develop trusting relationships and confidence in their own abilities and skills. 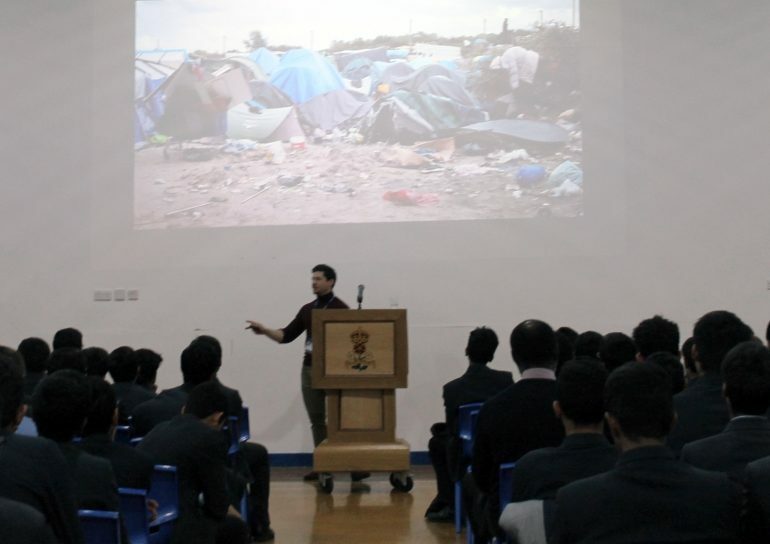 He spoke to boys in the middle years of QE about the charity’s work and about the migrant crisis in general, highlighting the ongoing nature of the problem, which, he said, was all too easily forgotten. Nick first got involved in the refugee relief work before the 2016 agreement came into force. Inspired to take action to help refugees by a weekend visit to the ‘Jungle’ camp at Calais, he put his successful career as a management consultant on hold and flew to Chios, which lies just 7km off the mainland of Turkey. The island was the arrival point for the highest number of refugees after Lesbos, with up to 1,500 men, women and children making the journey across the Aegean Sea every night at that time. During his talk, Nick showed the boys photographs of refugees arriving on Chios, often in perilously overloaded rubber dinghies. 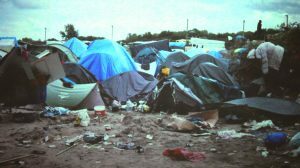 Other images revealed the poor conditions in the camp. Nick, of Stanmore, has a history of involvement in humanitarian projects. Shortly after leaving QE, he spent time at the Sri Sathya Sai School – a village school in Kerala, India, which QE has supported since 2002. 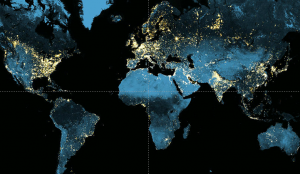 And, while he was reading for the Politics, Psychology and Sociology Tripos at Cambridge, he undertook research for the Grameen Bank, the Nobel Prize-winning microfinance organisation based in Bangladesh which works to help the poor. New research highlights the success of grammar schools in sending large numbers of pupils from black and minority ethnic backgrounds to top universities. 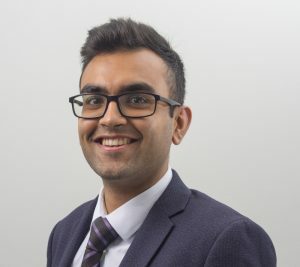 The Higher Education Policy Institute (HEPI) study shows not only that students of all backgrounds are much more likely to progress to a top-tier university if they have been educated in an area with grammar schools, but that this is particularly true for those from black and minority ethnic (BME) backgrounds. Its publication comes as the magazine of King’s College, Cambridge, reports on Old Elizabethan George the Poet’s key role in the college’s first-ever open day for BME applicants. The magazine explains that although King’s accepts a relatively high number of state school pupils, it remains concerned about the ethnic diversity level among its student body. 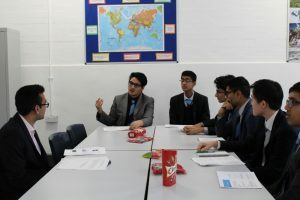 Nationally renowned spoken-word performer and social commentator George Mpanga (OE 2002–2009), who himself attended King’s, led an empowerment session for the visiting prospective undergraduates. 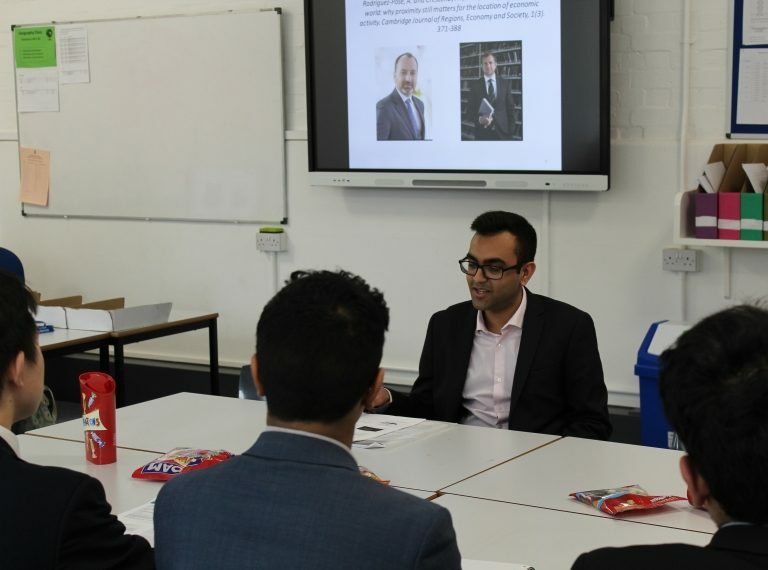 He told them how his time at Cambridge helped him understand the inner-city community he had come from, giving him an academically-based perspective which has informed his subsequent commentary on race, education and class. The 60-page HEPI research paper, entitled The Impact of Selective Secondary Education on Progression to Higher Education, was written by Iain Mansfield, a former senior civil servant at departments including the Department for Education. Its findings suggest that grammar schools can increase the likelihood of progression to the top third of higher education institutions (as defined by the Department for Education) for pupils from some traditionally disadvantaged groups, including pupils in the most disadvantaged two quintiles, namely social disadvantage and BME. 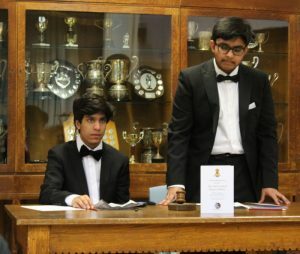 In fact, it showed that the latter are more than five times as likely to progress to Oxbridge if they live in an area with selective schools than in a non-selective area, with England’s 163 grammar schools sending more BME students to Cambridge than all 1,849 non-selective state schools combined. 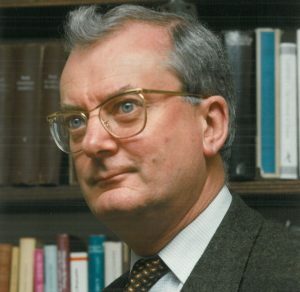 He told them how his own time as an undergraduate had changed him: “When I went to Cambridge, I looked back at my community through binoculars and I could see it for what it is. That wouldn’t have been possible if I’d stayed in the environment. I would have become either consumed by my anger or completely disconnected with the social set-up, with the social scene.